As exciting as the holidays are, things can start to feel a little hectic as Christmas gets closer. That’s why I shop early, often, and online. I wanted to share my top 2018 holiday gift picks with you, in case you’re still looking for a few more presents to put under the tree. Matchbox Mouse Playset by Foothill Toy Co. This is my favorite stocking stuffer of the year! Each Matchbox Mouse comes in a cute vintage box with a miniature bedding set that fits perfectly inside. Pretend play is important for developing kids and these little mice are such a fun way to strengthen the imagination. Operation is a childhood classic! I love that this game helps kids develop their fine motor skills. Truth be told, my husband and I will probably play this one, too! Grimm’s Spiel and Holz Design makes gorgeous handmade wooden toys. 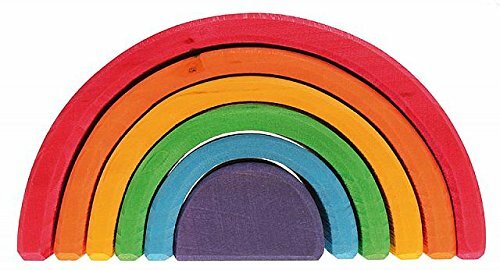 Their rainbow stacker is a popular puzzle among parents looking to encourage their kids’ creativity and critical thinking skills. This adorable race car comes with all the bells and whistles — literally. It honks, revs, plays music, and even has light-up headlights. The remote control is designed for little hands and looks just like a steering wheel. Deuter is known for its innovative backpacking packs, and the Fox 30 for kids is no exception. With an adjustable back system and shoulder harness, the Fox actually grows with them. Reward adventurous kids ages 4 and up with a pack that will keep up for years. I remember Wooly Willy and his “magnetic personality” from my own childhood. Today, this goofy classic is still just as fun. I’m excited to see what my kids think of it! 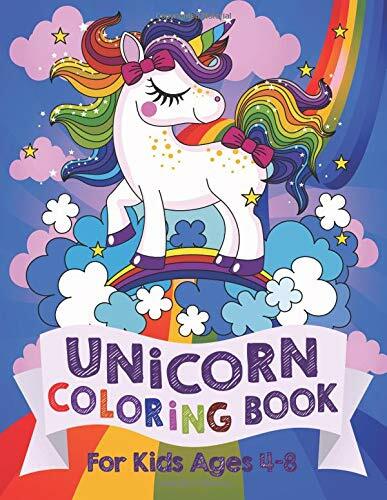 This children’s coloring book includes a series of fun, whimsical designs that repeat, making it great for siblings. The pages offer a good variety of simple pictures as well as more detailed ones, which suits the developmental needs of different ages.